WE BUY FRANCE & SON FURNITURE. IF YOU ARE THINKING OF SELLING SOME FURNITURE PRODUCED BY FRANCE & SON PLEASE GET IN CONTACT. WE ARE SPECIALIST DEALERS IN THIS MANUFACTURER. WE CAN PICK UP FROM ANYWHERE IN THE UK OR EUROPE. 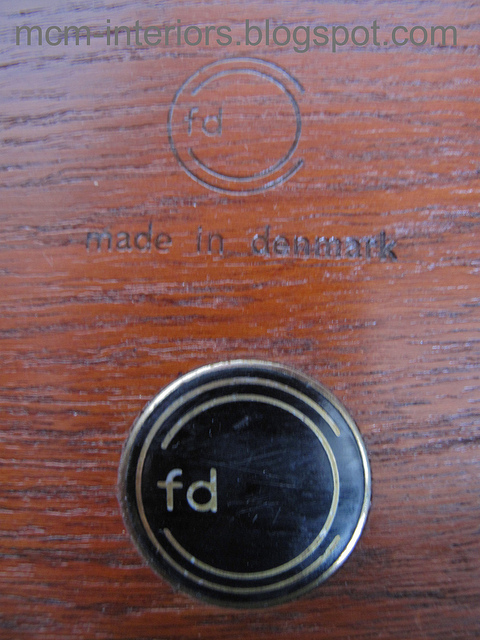 You may have noticed we have a particular fondness for the Furniture produced by France & Son, Denmark. Founded in 1948 by the British businessman Charles France and his Danish partner Eric Daverkosen. In the early years the company was called France & Daverkosen, Charles’s son James joined the company in 1957 which resulted in the name change to France & Son. 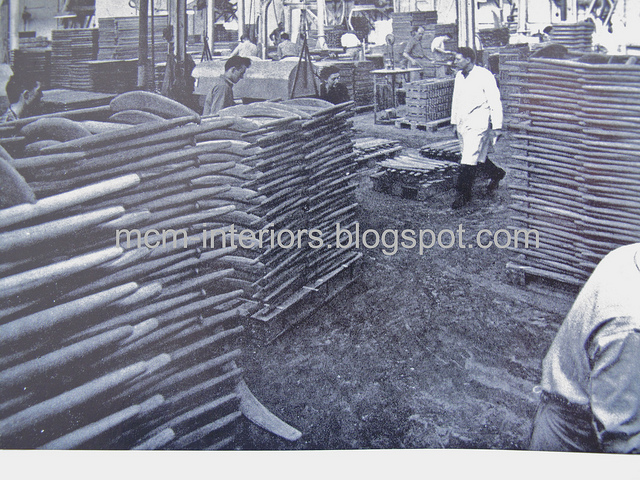 At the very beginning the company produced mattresses. 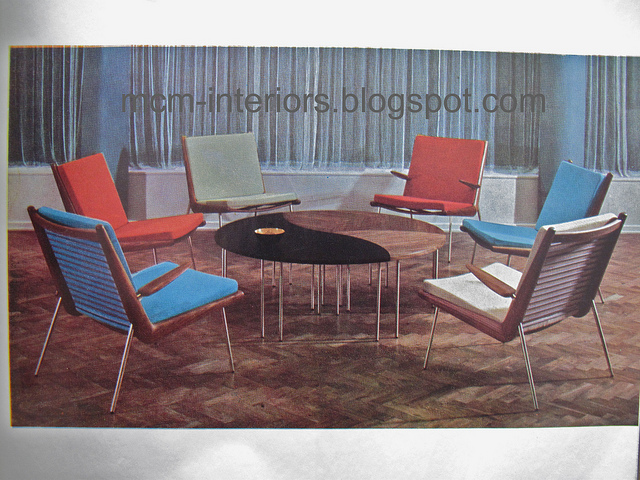 They then developed the idea to use two simple loose sprung cushions on their first chairs which would pave the way for a whole new generation of minimalist framed modernist chairs. 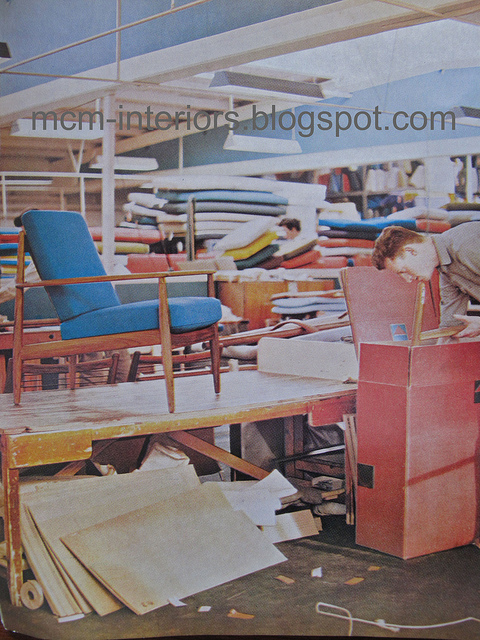 In 1952 the company moved to their new factory in Hillerod around twenty miles north west of Copenhagen, France & Son was one of the first Danish furniture manufacturers to have a purpose built factory specifically designed for their needs, most other companies had evolved from very humble cabinet makers premises. 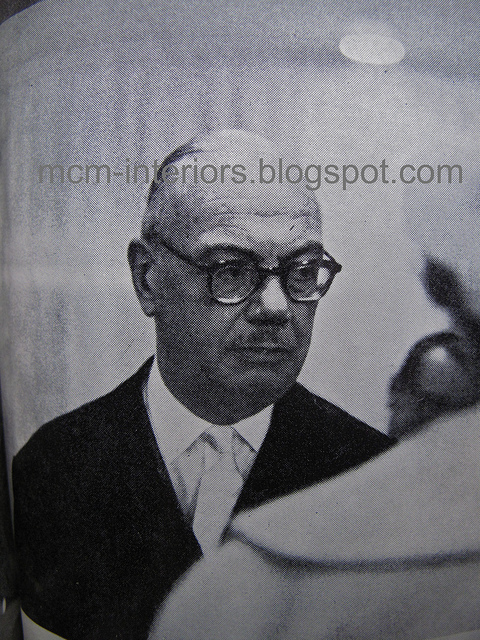 The company was at the very vanguard of modern design and came to epitomise the Danish modern aesthetic. 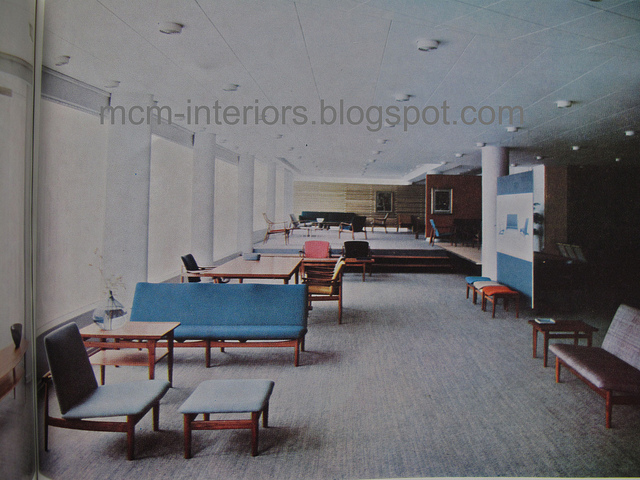 They had an incredible rostra of designers producing work for them which reads like a who’s who of design at the time, they included Arne Vodder, Grete Jalk, Peter Hvidt & Orla Molgaard Nielsen, Inger Klingenberg, Finn Juhl, Ole Wanscher, Greve Sigvard Bernadotte and Edvard & Tove Kindt Larsen. 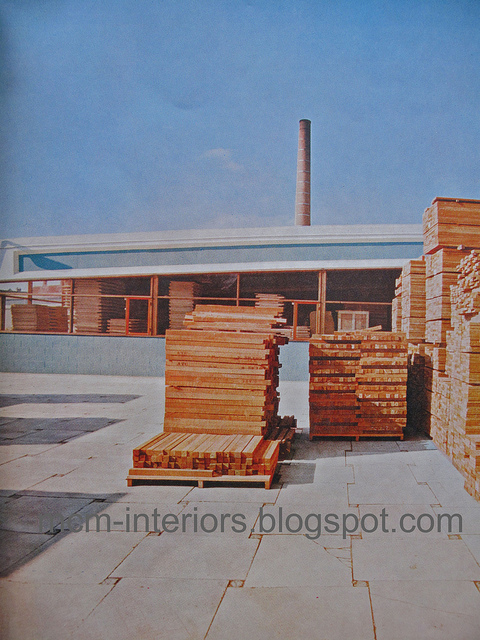 The designer Finn Juhl was desperate to find a way to machine teak his favourite timber on an industrial scale. Teak has a very high gum content, previous attempts to machine it industrially had failed as the saw would be dull after a dozen uses. 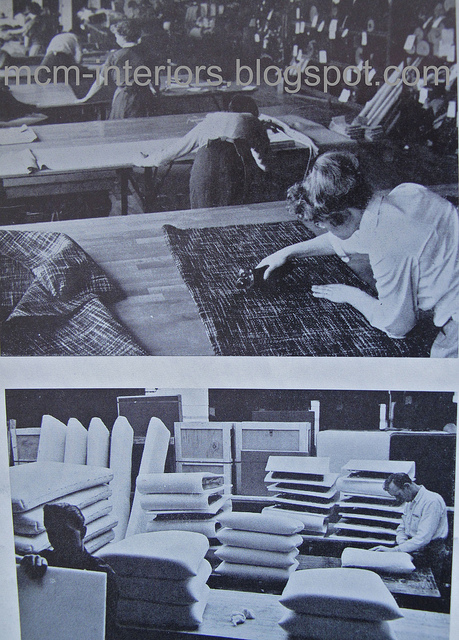 In 1953 Charles France introduced an industrial technique that revolutionised the Danish furniture industry. 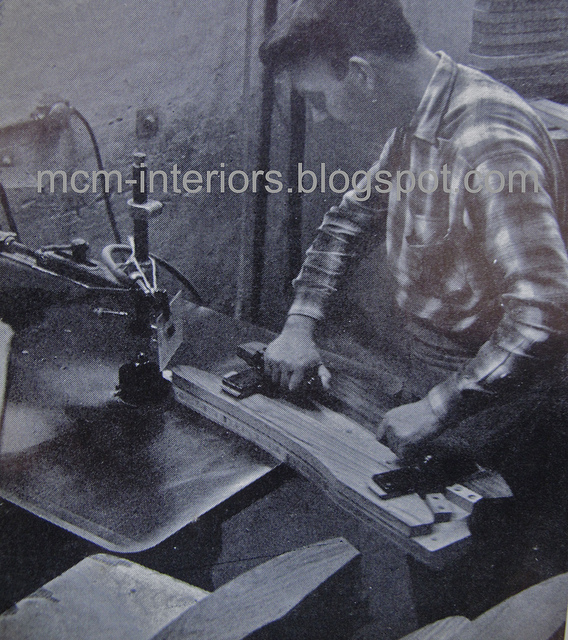 He developed the use of a tungsten-carbide alloy saw which did not dull when sawing teak wood. With this new method Charles France worked with Finn Juhl to launch the first industrially manufactured furniture produced from teak, the Model 133 Spadestolen chair. 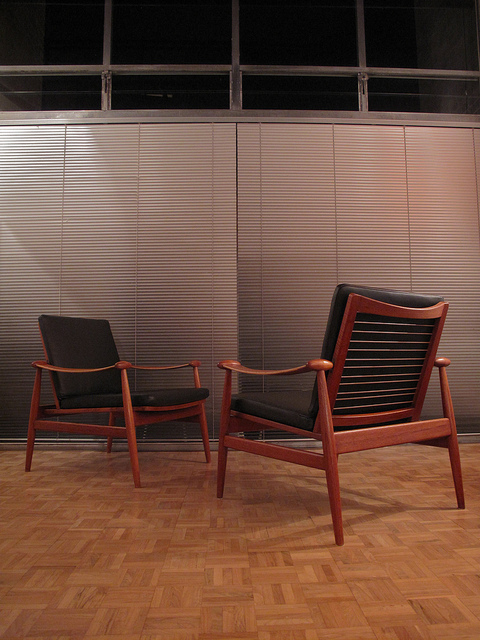 Teak furniture became synonymous with the Danish Modern style and the furniture industry would never be the same again. France & Daverkosen/Son would be the biggest importer of teak timber from Thailand for a number of years. FINN JUHL MODEL 133 SPADESTOLEN, FRANCE & DAVERKOSEN 1953. Although this was mass produced furniture it was always forefront in Charles Frances mind from the very beginning that quality would not suffer as a consequence of the manufacturing process. 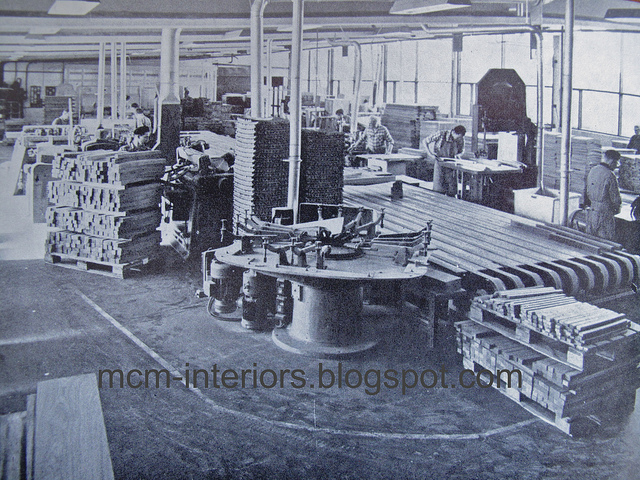 What is fascinating to see in the following exclusive archive photos is that despite the machinery and production lines the furniture was still very much hand made. Charles is quoted to have said that he wanted his furniture to be the ‘Rolls Royce of furniture’. 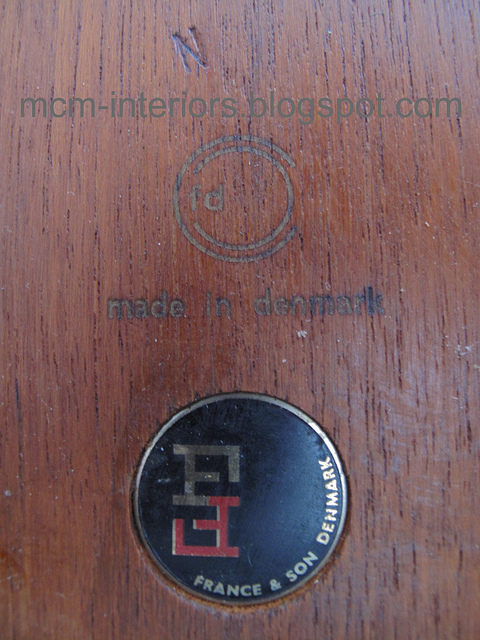 When asked to comment on the introduction of the association for quality control for Danish Furniture (the little black sticker you often see on furniture of the period) Charles said ‘France & Son would have little interest in joining such an association as no matter how elaborately this quality control was organised it would never reach the standard of control we have in our factory’. Interviews with employees suggest that Charles France was a stern but fair boss, he had a reputation for a fiery temper with a very demanding nature, however he paid his employees very well and gave them generous bonuses. The rival furniture company Fritz Hansen complained that too many of their employees were poached by France & son, tempted by the generous pay the company offered. At its peak France & Son employed around 350 staff. 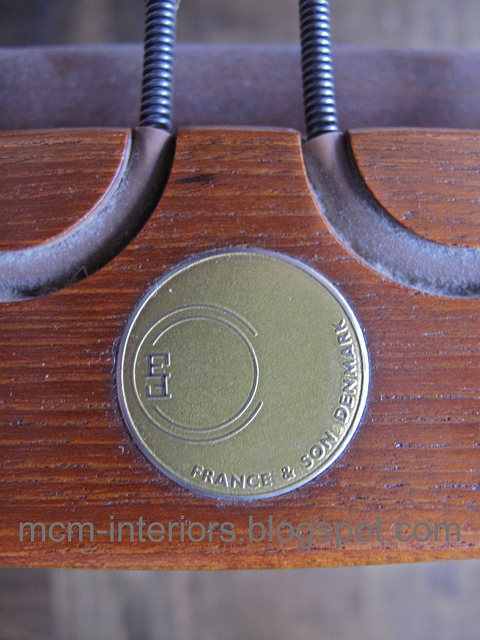 Part of France & Sons success can be attributed to the fact that they were the first furniture company to design their furniture to be dismantled very easily for shipping. Most of the furniture had a very simple but incredibly well designed metal joinery which could be ‘knocked down’ in seconds. The result was much cheaper transport costs, due to this one of the biggest markets for France & Son was the USA. The company also had many commercial contracts including the supply of furniture to the various global offices of The International Monetary Fund. 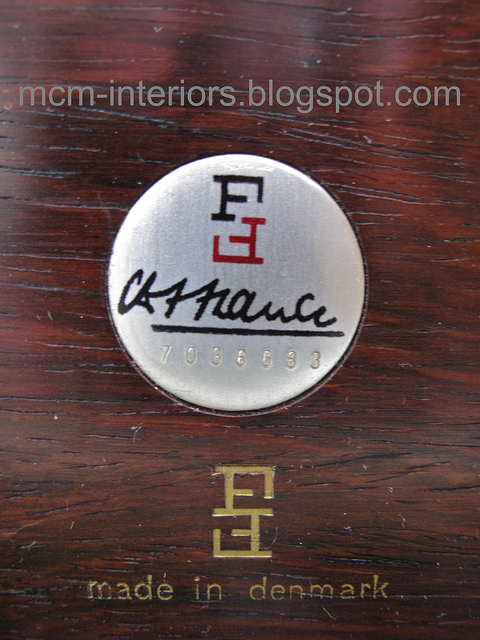 France & Son furniture was marketed as a premium brand. Their main headquarters in the UK was to be found on Bond Street Mayfair with the furniture being retailed through high end outlets such as Harrods & Heals. 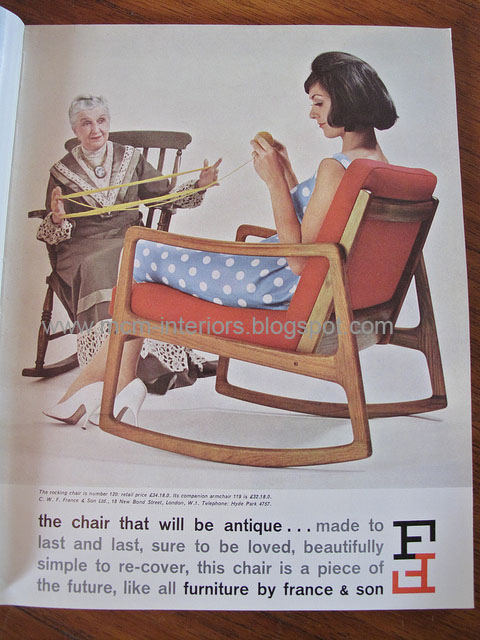 Interestingly we can see from old catalogue prices that a lounge chair finished in teak would have cost between £700-£1200 in todays money depending on design and upholstery finish. Leather options bumped up the price significantly. So far we have no record for the price of rosewood chairs. 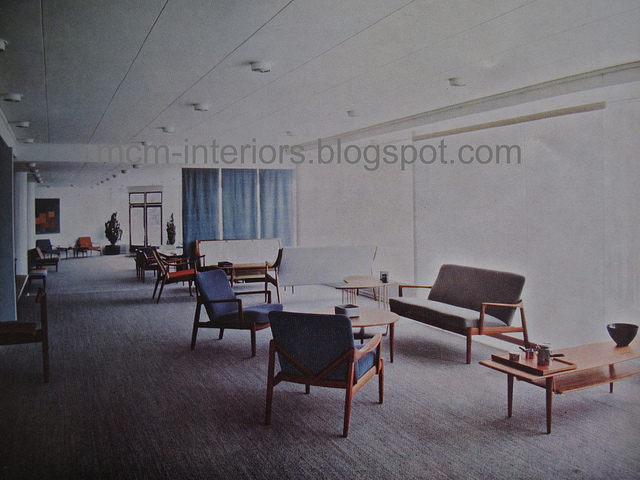 France & Son was sold to the Danish designer Poul Cadovius in 1967, I suspect the company continued to trade under the France & Son name for a couple more years before Cadovius renamed the company Cado. Cado continued producing furniture from the factory for a further ten years or so. TIMBER STOCK STAMPED FROM THE FRANCE & DAVERKOSEN YEARS. 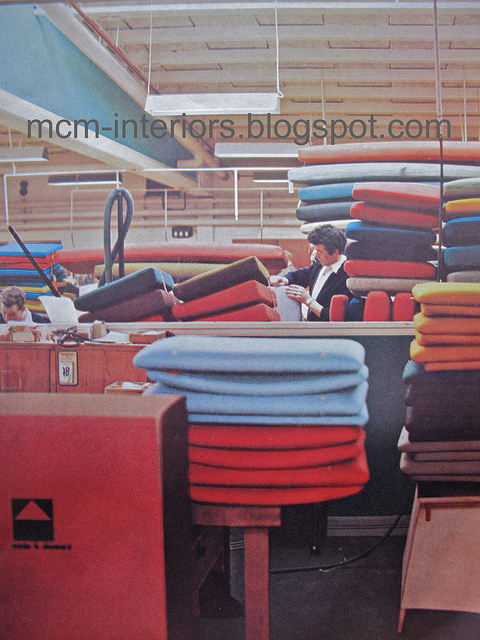 Visit MCM Interiors's profile on Pinterest.